This waterfall has many different personalities. On previous summertime visits, the absence of strong waters created a picturesque drizzle of water kissing the rock face as it dropped in a fan-like formation. The sheer height of the rock wall in front of you makes this waterfall worthy of multiple visits. 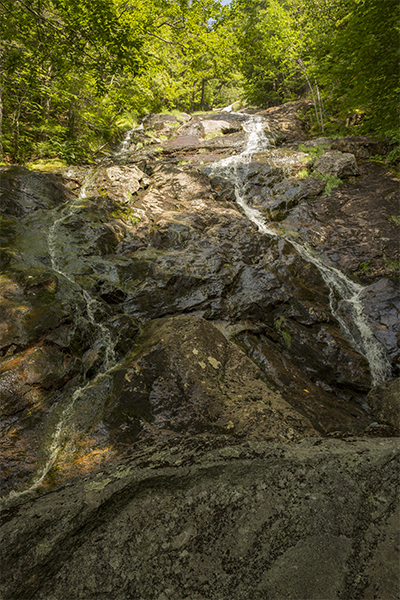 During snowmelt in early spring, water must come crashing down the vast rock walls with tremendous force. 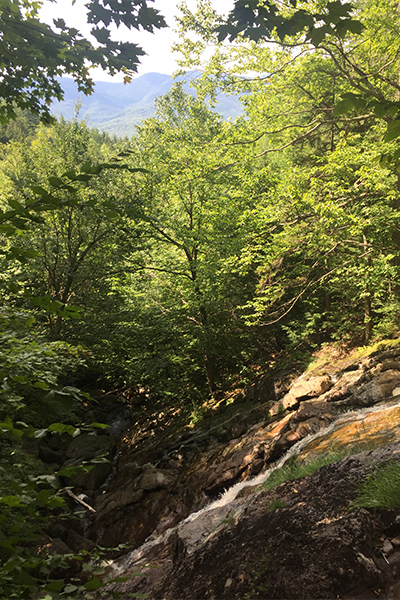 This waterfall is a definite must-see, and although the trail gains a significant amount of elevation, it is never more than moderately steep. For an added treat, look for blackberries along the Peabody Brook Trail as you embark on a hike to the falls in mid-to-late August. A nice patch of berries is currently thriving about 0.4 mile from the trailhead. 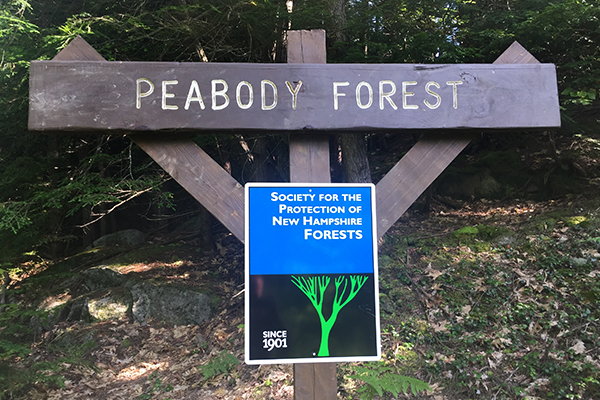 If you are up for a challenge, you can continue climbing on the Peabody Brook Trail, connect with the Bald Cap Spur trail, and obtain excellent scenic views from ledges on Bald Cap Peak. 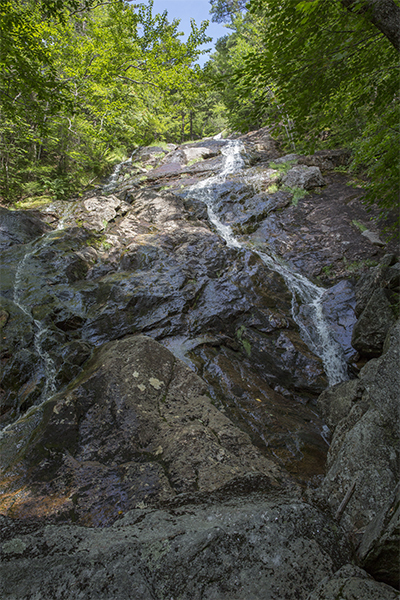 A round-trip hike to the falls and ledges is 6.8 miles with approximately 1,750 feet of elevation gain.